Sekon Sta entertains his audience at his first Sekon Sunday concert. 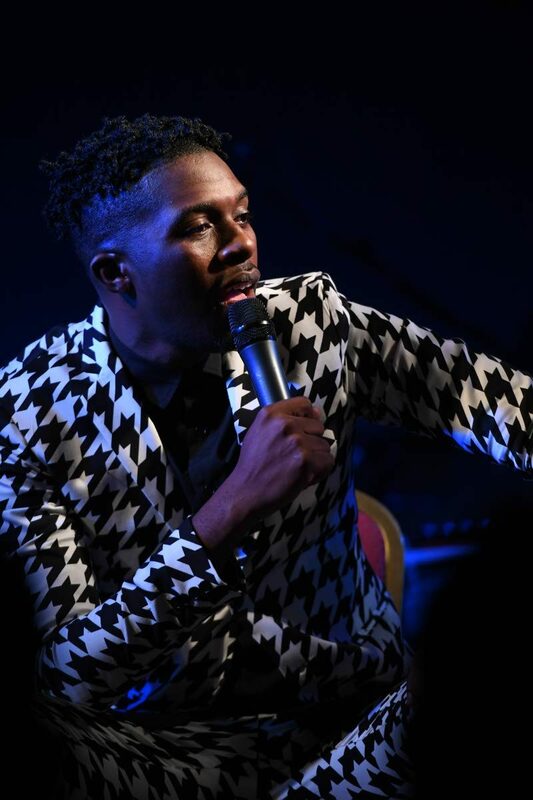 NESTA BOXILL, the artiste known as Sekon Sta, cemented his ascent into the upper tier of the music industry with an excellent “fete-cert” event held at Crew’s Inn in Chaguaramas. 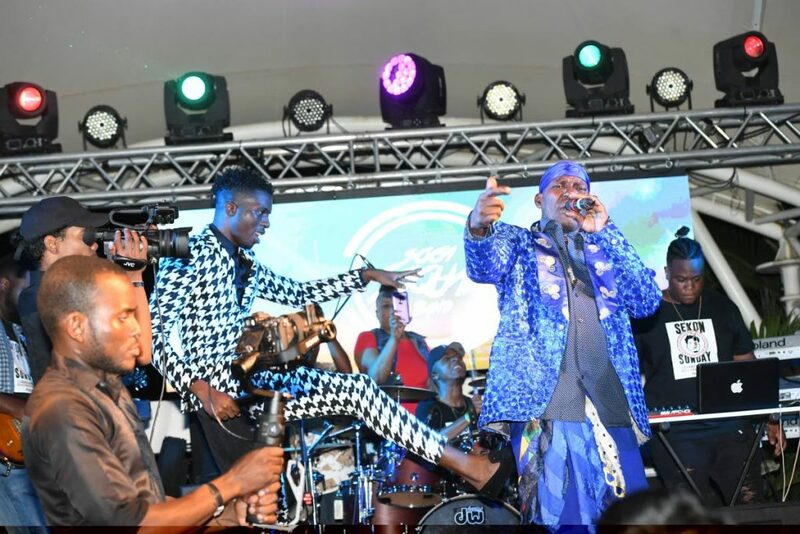 Produced and managed by party promotion team Eeempire, the combination fete and concert (fete-cert) event dubbed Sekon Sunday attracted a vibrant and interactive audience of close to 1,000 patrons –more than the 700 the venue was authorised to hold comfortably. Thus, police and fire officials were obliged to close down the general entrance around 8 pm and left some patrons outside on the fringes unable to enter for fear of overcrowding the space. This did little to affect the action taking place inside as a sterling cast of entertainers electrified the audience with performances of the hottest songs of the season. From Jaiga to Lyrikal, Nailah Blackman to Ricardo Drue, Erphaan Alves, Voice and Ding Dong, the most happening young artistes came out in support of Sekon Sta and his team and thrilled the audience with strong performances of their most popular hit songs. Backed by his Soca Squad Band, Sekon Sta was undoubtedly the star of the evening, dressed to the nines in classy and distinguished-looking outfits styled and supplied by celebrated designer Ecliff Elie. Stroking powerfully through his five-year catalogue of releases, Boxill sprinkled his main set with guest appearances from the hottest acts of the season, including; Bajan bombshell King Bubba; Nadia Batson and Farmer Nappy, St Lucian singer Teddyson John; Grenadian sensation V’ghn; soca queen Patrice Roberts and the icon, SuperBlue. Sharing the stage and his impressive body of work simultaneously, Boxill effectively used the music to tell the story of a young man with unparalleled talent, drive and determination, who seeks to build his own legacy of sterling musical contributions, while simultaneously honouring and continuing that of his late father calypsonian Merchant. “I’m honestly very much shocked that it turned out so great,” he admitted afterward. “Of course, I hoped it would do well and I felt like it would be good, but I couldn’t and didn’t anticipate it being like this and being so magnificent and attracting these kind of numbers. When they told me it was sold-out since Wednesday I almost didn’t believe it. Yes, I am confident in my music and I’ve worked hard to build my brand and I believe in myself and my team, but given the economic situation, given the fact that it’s my first big event, given the venue and the timing and all that, I really didn’t think it would be this huge. Opening with Symphony, Boxill delivered over ten songs and even included an old school set of cover songs, complete with his father’s classic, Caribbean Connections and Rock It, as well as the recently deceased Mighty Shadow’s Dingolay, Krosfyah’s Pump Me Up and SuperBlue’s Jab Jab. The energy was electric throughout the venue, as Boxill’s many young fans assembled to express their love and appreciation for the tall and svelte singer, MC and radio personality. Many mature patrons also came to witness his ascension with veteran vocalist, Dexter “Blaxx” Stewart contributing a special surprise performance to conclude the live action onstage. “Sekon Sunday” is scheduled to take place annually on the second Sunday of the year. Reply to "Sekon Sunday thriller"